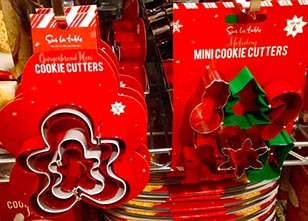 This is the area where we list any recent information about new cookie cutters or related items that came in too late for the newsletter or there was no space for, but we didn't want you to miss out on them. Here are some of the great finds from the last few months. 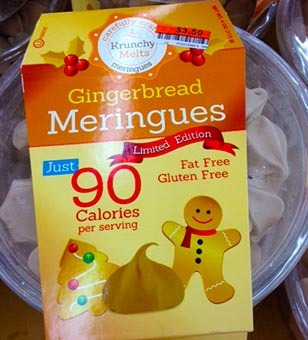 From Big Lots, gingerbread meringue cookies. 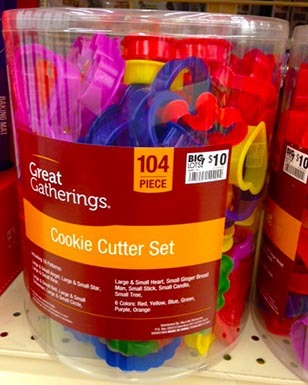 Big Lots - Great Gatherings - a set of 104 cookie cutters, 18 different designs with multiple sizes of each. 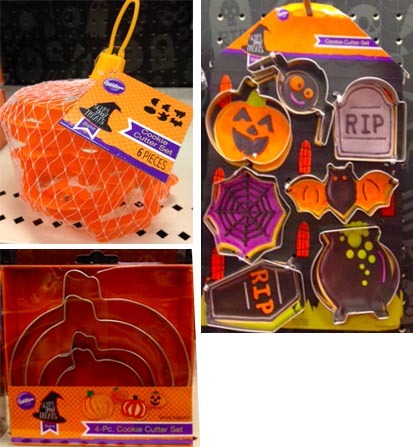 Also at Big Lots, individual cards with turkey and owl cutters. 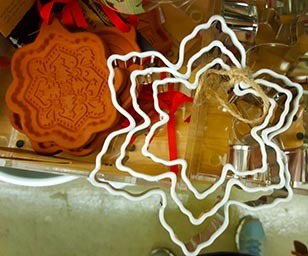 Some of the many Japanese cookie cutters from the Diaso store in San Francisco. 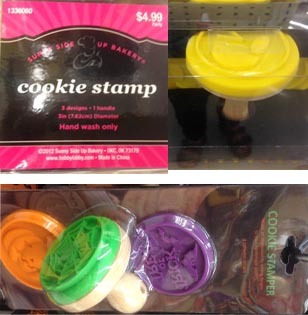 Two different sets of cookie stamps from Hobby Lobby. A set of 3 emoji stamps and a set of 3 Halloween stamps. 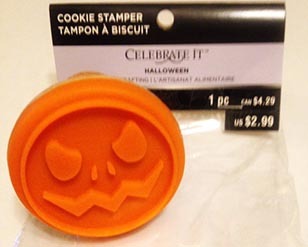 I Love Cookies silicon cookie lifter. 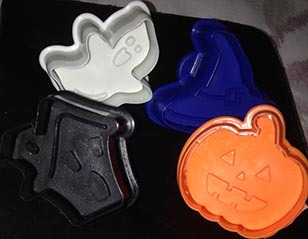 In Sur La Table, a set of 3 Nordic Ware Spooky Cookie Stamps. 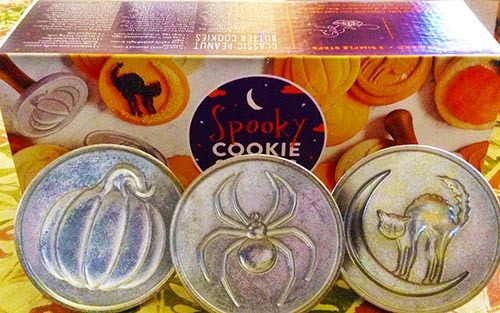 Michael's Celebrate It brand Halloween cookie stamp. 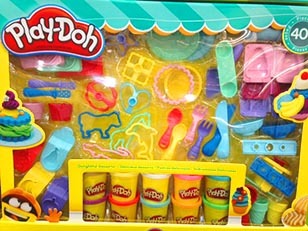 Play-Doh set with 45 shaping tools. 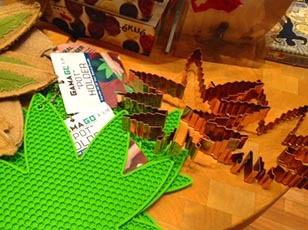 Marajauna Leaf copper cutter found in Sparrow Hawk store in Colorado Springs, CO.
Small Halloween cutter/stamps in Sparrow Hawk. 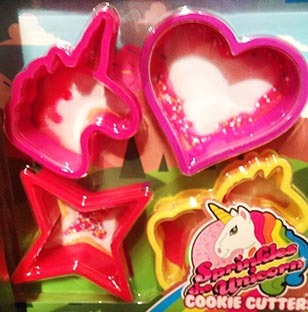 Sprinkles the Unicorn set of 4 cutters. 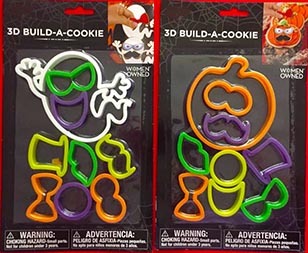 2 sets of 3D Build-A-Cookie Halloween cutters found at Walmart. 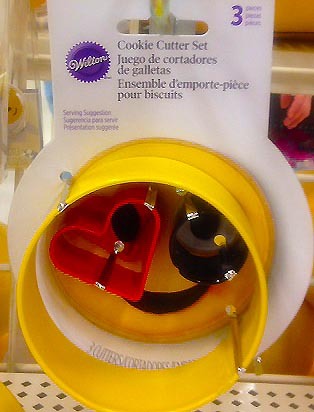 Two sets of Wilton Comfort Grip cutters. 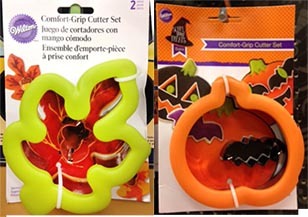 Cutters are the same as previous years but are now each packaged with a smaller cutter, leaft with acorn, and pumpkin with bat. 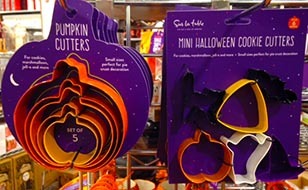 Three sets of cutters from Wilton for Halloween. 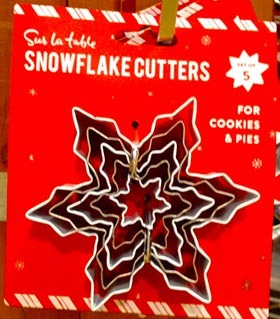 A set of 3 snowflakes found at World Market. 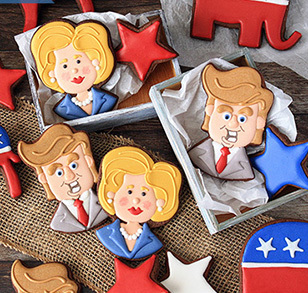 Two terra cotta cookie stamps from World Market.